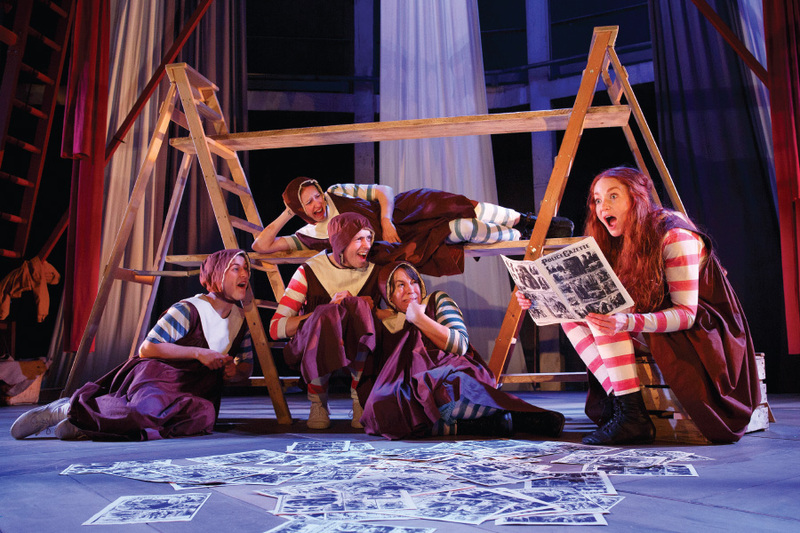 Jacqueline Wilson's Hetty Feather Live on Stage! 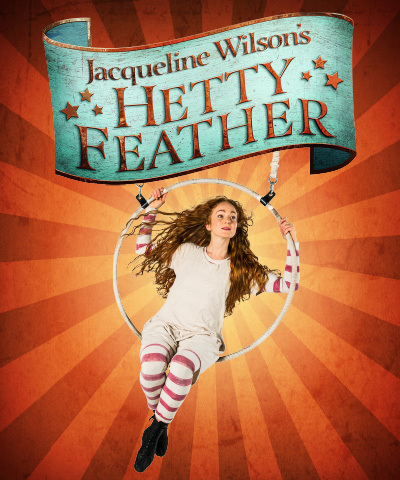 Today I am so excited to bring part one of two posts that will be talking about a theatre production of Hetty Feather, a book written by my all time favourite author Jacqueline Wilson. I probably don't need to say too much about who Jacqueline Wilson is, as a girl growing up in the nineties/noughties I was many of those girls completely obsessed with her books with iconic characters such as Tracy Beaker and Vicky Angel. I still have them all to this day and I like to read them every so often and be transported straight back to 12 year old me. An interesting little story I have is that a few years ago I attended the Royal Variety Show with my boyfriend and we were sat just a few seats away from Jacqueline and I recognised her immediately, further confirmed by all the rings on her fingers which she is known for. It was so strange as a 20 something adult to be so awestruck by my childhood inspiration and I couldn't actually bring myself to speak to her. I wish I did though, I really wanted to tell her how much her books helped me when I was growing up and how fond of her stories I am. Anyway, let's talk more about Hetty Feather. Currently it's a very successful book, 6 part television series on CBBC and now it is a full blown theatre production nominated in this years prestigious Olivier Awards. 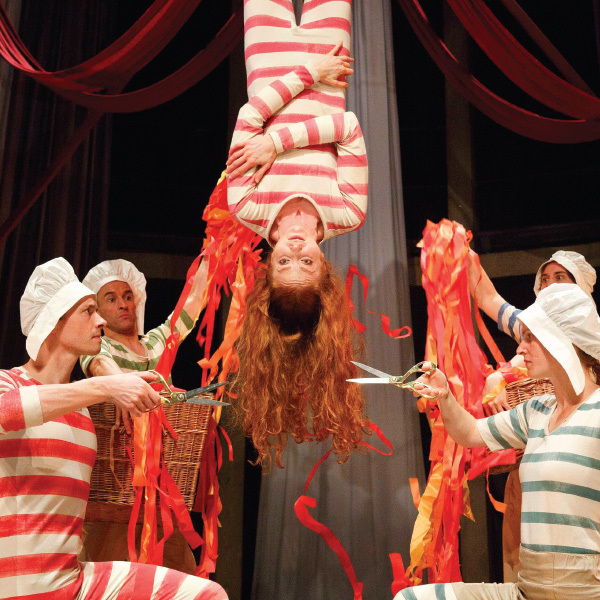 With Phoebe Thomas playing the lead character of Hetty Feather, the show is touring all over the UK throughout 2015 and 2016. The full list of locations and dates can be found on the production's website http://www.hettyfeatherlive.com/book-now along with pricing information and further details on the show. I have included a fantastic 1 minute or so snippet of the show below, so be sure to click play and have a quick watch to get an idea of what's instore for you. TREMBLE as she faces Matron Stinking Bottomly. THRILL as she discovers the squirrel house and Tanglefields Travelling Circus. GASP as she endures a night locked in the attic. CHEER as she overcomes all in the search to find her real mother and a true family of her own. Part two of this post will be my personal review. I will be attending the Duke of York's Theatre showing in August and will doing a full write up of my night went to share with you guys. Coincidentally the dates fall just before my birthday so I am literally super excited about going along. I hope you enjoyed hearing all about the show, if you would like to go yourself you can view all of the ticket information here: http://www.hettyfeatherlive.com/book-now. Coming up really soon are the Bristol, Windsor, Brighton, London and Exeter shows so make sure you don't miss out and get the best seats possible. Thanks for reading, part two will come in August. Leave me a comment below with your favourite Jacqueline Wilson book. I've been intrigued by this show I saw it being advertised in a train station not too long ago. Thanks for including the trailer to watch!